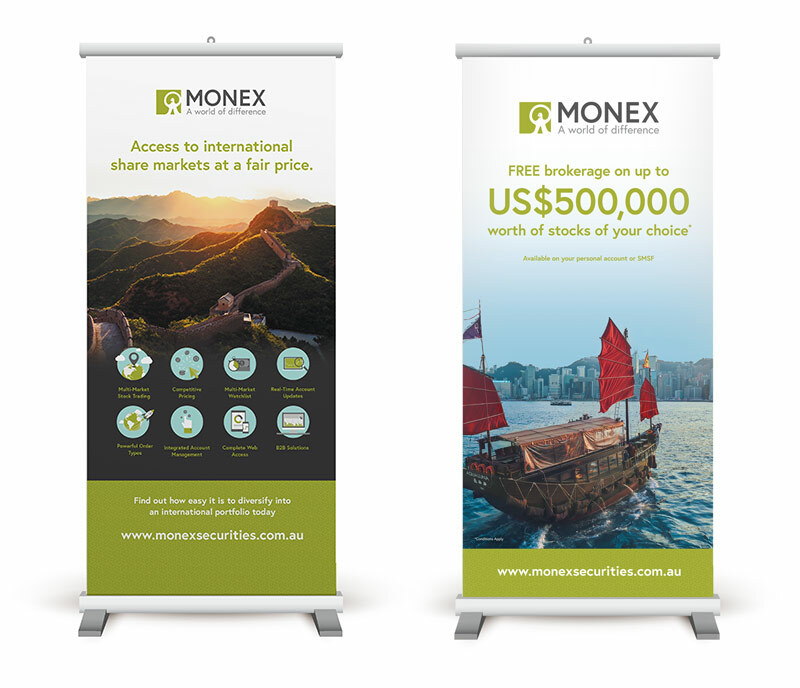 Brand Launch – late to market in a super competitive space! 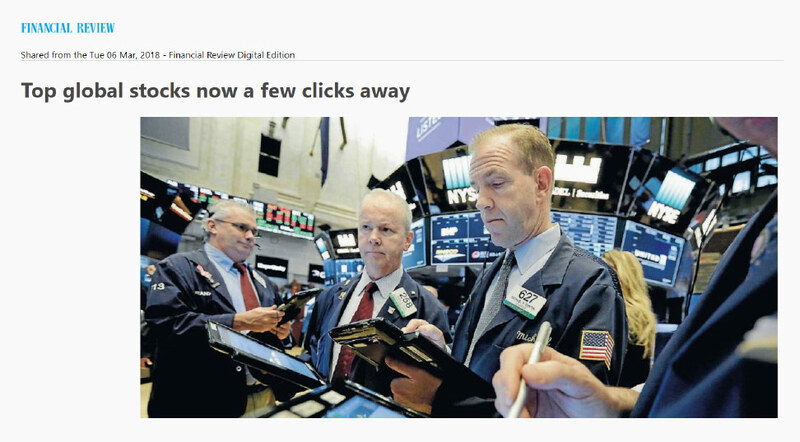 As we are very late to market in a hyper competitive space. 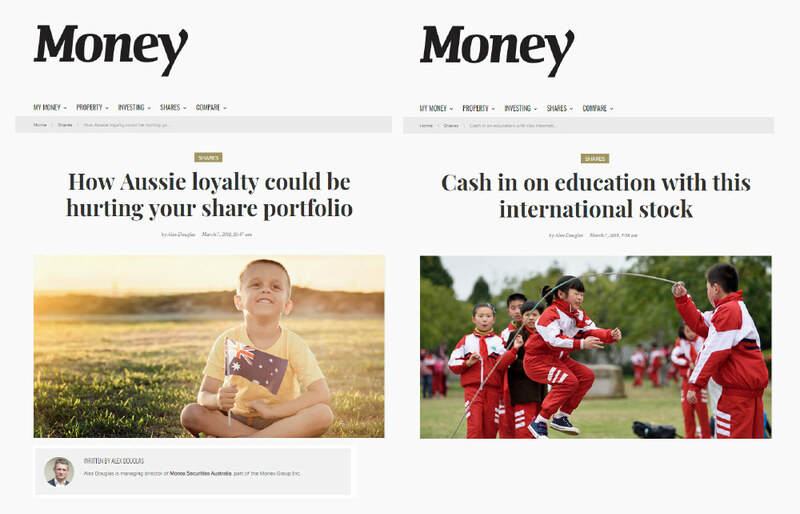 Many brands are mainstream with large media budgets, so the biggest challenge clearly was 1) what do we offer that is different, and why should anyone care, 2) how do we stand out, and 3) how do we launch the brand with a small media spend? 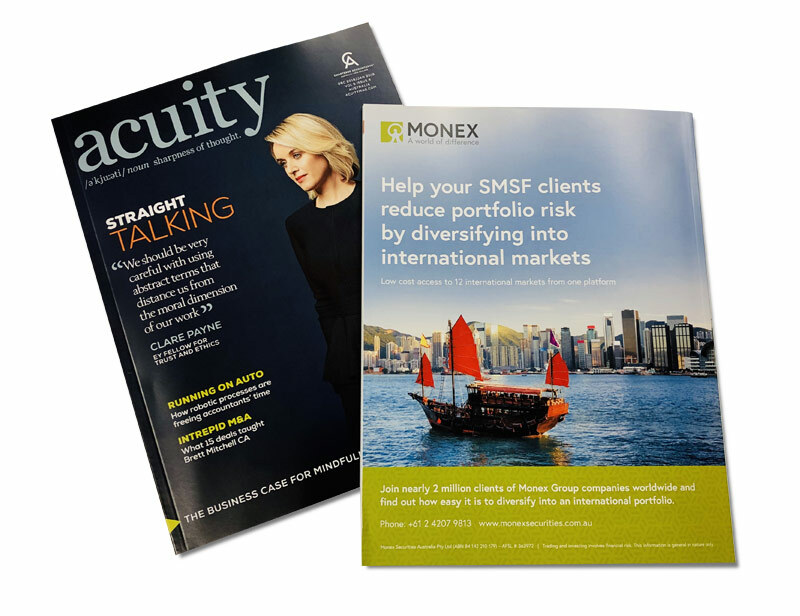 Outsmart not Outspend – Monex outsourced their marketing to us to keep operational and resource costs to a minimum. So as their outsourced marketing consultants we knew we had to come up with something different and something special in the strategic phase to create a compelling reason to exist. 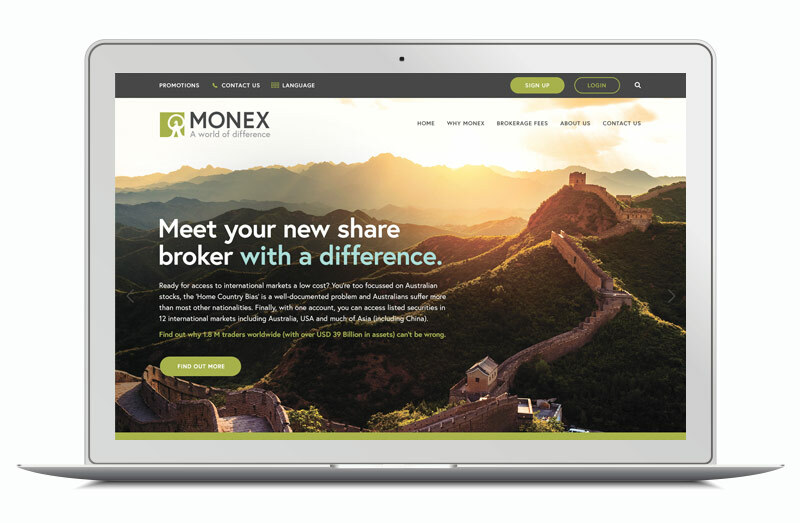 Monex is one of the largest FX brokers in Japan with 12 offices around the world, they also own Boom (Asia’s very first online broker, and TradeStation which is America’s 6th largest broker). 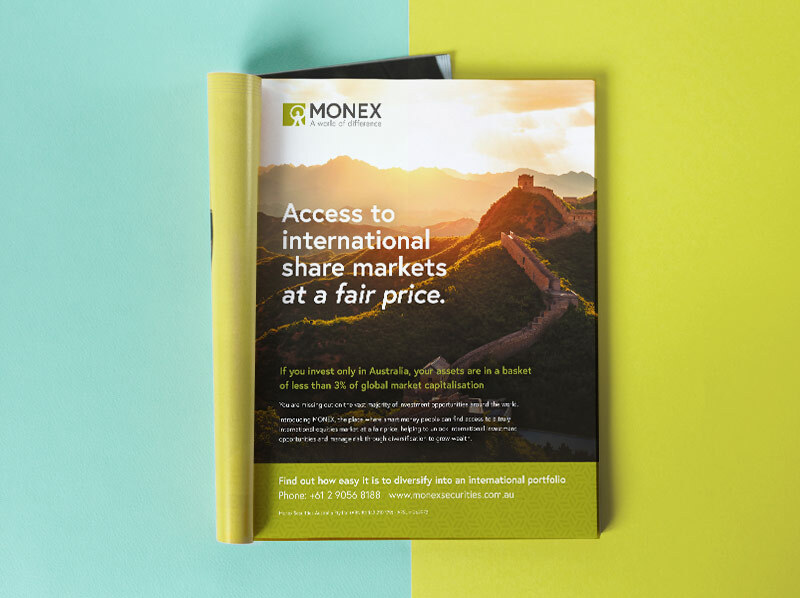 Monex Australia offers more shares and equities than any other Australian broker so you can buy a US stock, Japanese Stock and Mainland Chinese stock all on the same day all from one account, all at a super compelling low cost – starting as low as US$9.99. 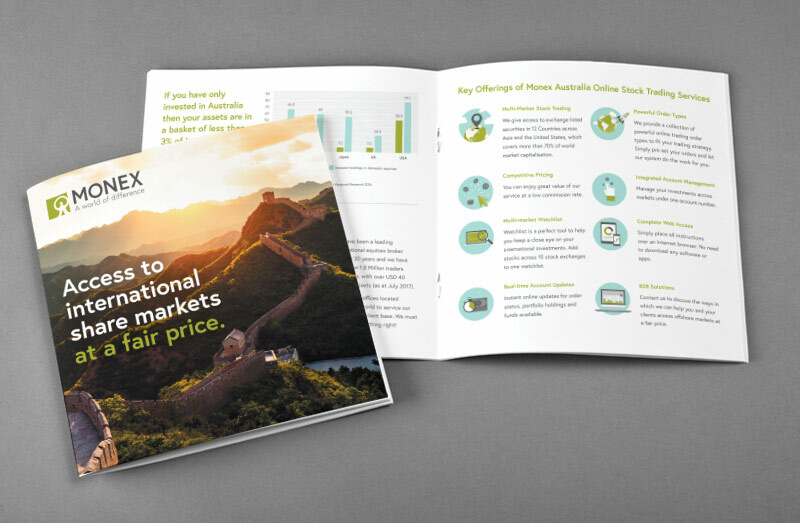 We were lucky enough to be a true strategic, marketing agency and design agency partner on their journey to success. We therefore built everything for them in a consistent and cohesive way from the ground up to ensure all touch points deliver the same quality customer experience. We created a set of mood boards to ensure we get the colour palette and design style on point. From there we designed and built their website, brochures, launch advertising, media planning, buying and strategy, email marketing, social media, content marketing plan, performance marketing that includes Google Advertising, Facebook Advertising, Re-targeting, lead nurture funnel creation, marketing automation, Sales decks, print ads, Video content and video distribution and seeding, including helping manage the PR. 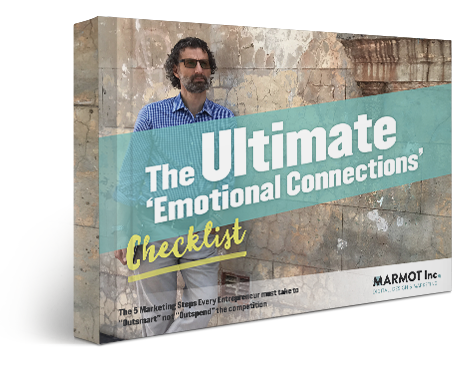 As their marketing company partner, we knew we didn’t have much budget to play with so we needed to be super smart about how to spend the budget across various channels. As such we focussed on the lowest hanging fruit – so we always ask this simple question. 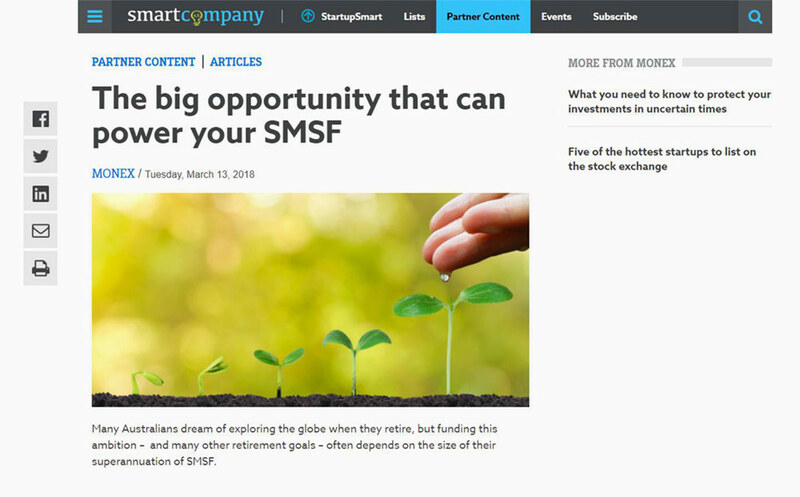 “How are we going to make the most amount of money, the fastest way possible by spending as little as possible?” …Although we launched bit in the mainstream media we primarily focussed on specific trading and investment publishing titles and databases. 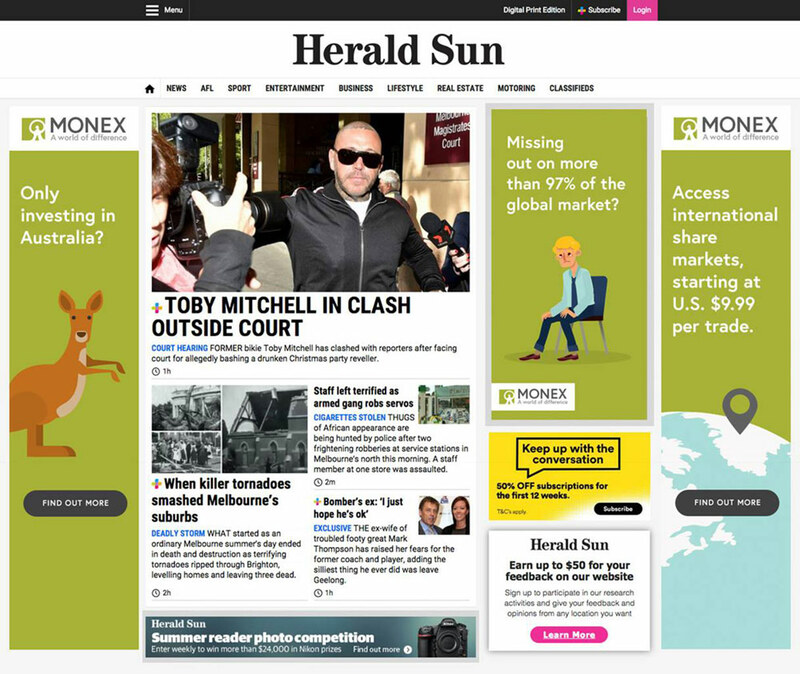 Plus we cranked up the PR to ensure we created much awareness and momentum for the brand. Let’s be honest if no one knows about the brand it doesn’t matter how good you are, no one is buying what you are selling.